Robert Boustany has taught extensively across the US and Europe and he has many students and teachers across the globe. Regardless of where you are in the world, you can still learn from Robert through online classes. The Robert Boustany class channel on Mat2Mat.com allows you to take classes with Robert 24/7 at your convenience, wherever you may be (as long as you have a sufficient internet connection). Get unlimited access to all of Robert's classes for the low price of $12/month. In addition to classes, Robert also shares his yogic insights on a broad variety of topics. Want to share your love for Robert's yoga with a friend or loved one? Consider purchasing them a gift subscription. 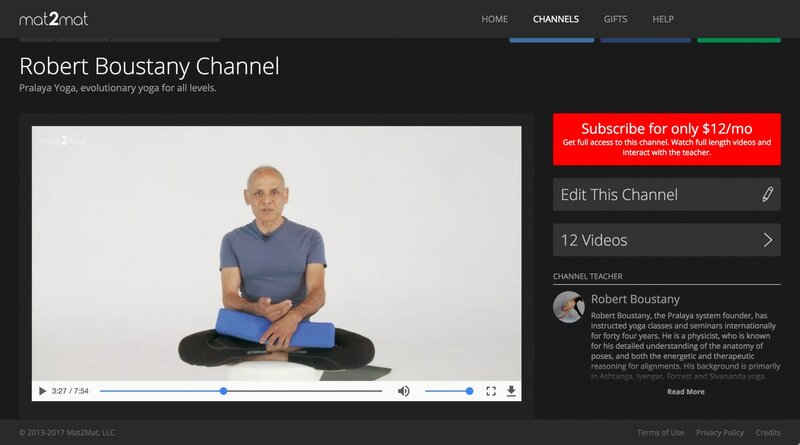 Check out Robert's mat2mat Channel today and give the gift of the best yoga anytime, anywhere. See for yourself.